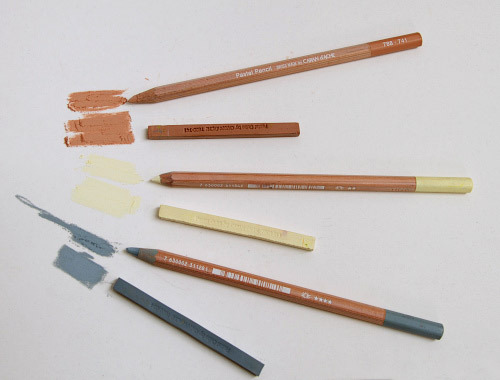 This is to let people know that the Swiss company Caran d'Ache will be releasing a new line of hard and dry pastel sticks and pastel pencils in April in 2012. Last year I was asked to test some prototypes and from this a very nice working relationship has evolved and I was able to see the production site in Geneva and wrote a report about this on my blog A visit at Caran d’Ache / Pastel Pencils . The company was very much interested in the opinion of pastel artists all over the world and to create a line which meets the needs of pastel artists. She has now written a review of the NEW Caran d'Ache Pastels which highlights why pastel artists might be interested in them - see Caran d’Ache Pastel Pencils and Pastel Cubes. In it she demonstrates how they work on a variety of different papers as well as identifying the characteristics which she really likes. Astrid told me that she usually works with Sennelier; Unison, Terry Ludwig and was very surprised by the quality of these new hard pastels from Caran d'ache. She's now convinced they're a worthwhile addition to our collection of pastel supplies. You can also see a video of somebody working with the hatrd pastels and pencils on the Caran d'Ache website - click "Pastel - Preview"
I'm adding links into my resource site Pastels - Resources for Artists - and will be looking for them in the art supplies shops when they are introduced. Now you know to look out for them too! This is a preliminary review of the NEW Derwent Carry-All which I have yet to take out with me. This review relates to what it comprises, how it's made and what I can and cannot get it in it. I think the Carry-All has distinct potential but for me it's a "near miss". I'm awarding it a B+ for a good effort but could do better. My personal preferences for what I need - I think I would have been tempted to use it an awful lot more - and hence liked it a lot more - if it had just been 25mm taller. I'll explain why. I think the dimensions for this carry-all probably started with 'the pencil'. In that context it’s size makes complete sense as it’s well set-up for carrying pencils and I can imagine it will be a very useful bit of kit for those attending classes and workshops. However if you started from the perspective of who else might want to use it then I think Derwent might well have given some more thought to the size. It’s not big enough to take an A4 sketchbook or most panoramic sketchbooks so one’s limited to carrying an A5 size sketchbook or a smaller Moleskine sketchbook. Here's the breakdown of what I found. I'll also report back once I've used it 'in the field'. I'll also be asking Derwent about the size issue as the Carrry-All I have is nothing like the dimensions on their website. Summary Review: It's a well-made rather large pencil holdall on a strap. I find this product promising but confusing. I’m not clear who the target consumer of the carry-all. Storage emphasis: It’s great for people who want a good way of keeping their pencils and other bits of kit neat and tidy and all in one place at home. Mobile with pencils: It’s great for those who just want to carry a lot of pencils and a bit of extra kit around from A to B without lugging a great big pencil box or tin around. However if that’s all they want to do then I’m puzzled as to why the Derwent pencil wraps - which take 30 pencils each - would not work better? 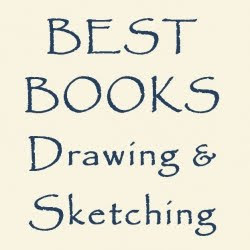 Sketching: HOWEVER It’s undersized for the serious sketcher and oversized for a small sketchbook or anybody with a more minimalist approach. If this bit were fixed it would still serve the other two pencil uses equally well. Technical Details: The Derwent Carry-All is described as “a pencil storage solution” with the scope to store “up to 132 pencils and more”. material: made of a sturdy grade of fawn canvas (same as that used for the pencil wraps); the trim is dark brown. Feels robust. Interior elastic band - looks as if was designed for a very fat sketchbook. Too big to hold my Moleskine secure. suitable for all makes of coloured pencils - I tried them all!